Just as most restaurants have their “House” wines (signalling value, affordable and relatively reliable products) so most supermarkets have an equivalent range for drinking at home. Sainsbury’s even call their version “House” wines. In their case, most of that list are priced around a fiver and are often non-vintage wines from locations you did not immediately expect. Predictably, quality can vary but read on for my look at this range and to hear about four “House” options that I consider offer reliable everyday drinking. Today’s post also includes the usual Sunset Corner, Best of the Rest (Aldi and M&S wines) and a Top Tip about a red wine (to me) underestimated by drinkers – but for understandable reasons. On restaurant lists or elsewhere, Central Italy’s montepulciano usually brings us medium bodied, fruit centred, dependable (if seldom sophisticated) red wine and this version not only ticks those boxes but does so at the seriously impressive price of £5. 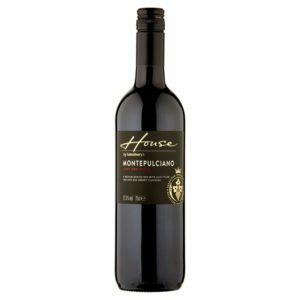 Slightly fuller than many versions (and with marginally firmer tannins, but actually the better for it), 2017 House Montepulciano D’Abruzzo (£5 at Sainsbury’s and13% abv) has ripe blackberry and mulberry fruit, good acidity and suggestions of liquorice, oregano and chocolate. Respectable pinot noir under a fiver is the wine world’s equivalent of hens’ teeth but this Romanian version covers all the important bases more than satisfactorily even though it will never win prizes for complexity or intensity. 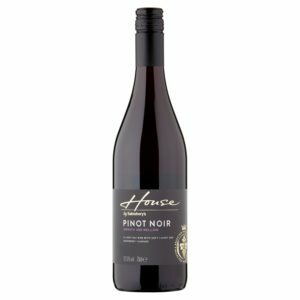 Soft, floral and juicy, House Pinot Noir (£4.80 and 12.5%) has fresh cranberry and red cherry fruit with little tannin but neat background touches of coal, cinnamon and chocolate. Overall, the parts of this range I sampled were stronger on reds than on whites – as budget wine ranges tend to be – and here is a well made South American malbec albeit from Chile’s Central Valley rather than Argentina as we instinctively expect. 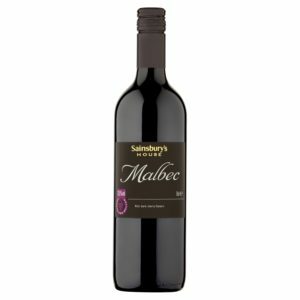 I enjoyed the perfumed freshness of House Malbec (£4.80 and 13%) with a mixture of raspberry and red plum fruit – along with good acidity, clove, sage and caramel components but mild tannin. It was a struggle to identify a white that matched the quality of those reds but I think that pinot grigio fans will give a thumbs up to this Hungarian option with an amazingly pale colour. 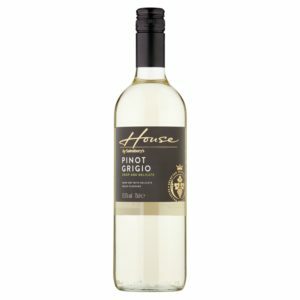 Flavourwise, though, House Pinot Grigio (£4.80 and 11.5%) has those ripe and typical floral peach elements accompanied here by green melon and ginger influences with lime centred acidity. In a world where energetic, forceful and complex sauvignon (for good reasons) rules the roost, it is too easy to underestimate the value of delicate, straight forward and “undemanding day at home” versions from France’s Loire Valley. 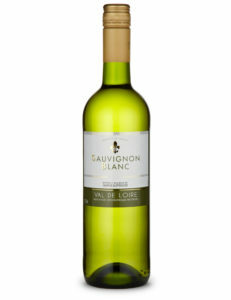 While undeniably “sauvignon ordinaire”, 2018 Val de Loire Sauvignon Blanc (£6 – down from £7 until 1 April – at M&S and 11.5%) has a fresh and light texture, zesty lime and lemon acidity, green apple fruit and just a hint of ripe melon. This week sees a new, great value, tempranillo appearing on the shelves of Aldi – and one that neatly demonstrates how carefully stewarded time in oak enhances even basic level wine, without dominating its flavours. I was taken by the depth and good acidic liveliness of 2014 Antiguo Barrel Aged Spanish Red Wine (£5.89 at Aldi and 13.5%) with its cherry and plum fruit, firm tannin and suggestions of chocolate, clove and vanilla. This feature is an alert about promotions that are about to end. So, if you want to take advantage of the discounts on offer, you may need to hurry. 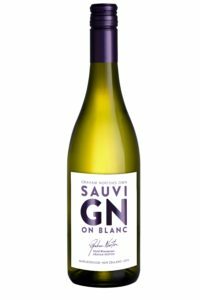 Graham Norton Sauvignon Blanc is down to £7 – from the usual £8.98. Tip: Sometimes the devil really is in the small print. Marmite wine is undeniably an over-used phrase but it immediately came to mind when I dropped in on the Aldi web site recently. Drinkers were drastically divided about one of their red wines; 17 awarded it five stars while another 17 gave it just one star – with almost nobody in between. Time, I thought, to take a closer look at 2018 Ringleader Red from Australia’s Riverland – east of the Barossa. Part of the problem could perhaps stem from three words on the label – “Old Vine Grenache”. They tell us that the content of the bottle will not be one of the powerful supercharged shiraz based wines with bold, assertive fruit that some of these disappointed customers may have been anticipating. Full marks to Aldi, though. They do accept that they could have managed that expectation rather better – many in the trade would be simply (and loudly) blaming the customer at this point! Grenache grapes are different in several ways – their skins, for example, are relatively thin so there will be much less colour to the finished wine (hence, some of the web complaints that the wine is “thin”). Similarly its fruit is more strawberry and raspberry centred than the blackberry and cassis flavours of sturdier varieties. As with people, “old” vines does not always mean better but remember that if mature vines have not been pulled up it is usually because they are continuing to deliver. Efficient root systems will have been established with these old vines adapting to their terroir really well and, consequently, continuing to provide quality grapes year on year. As well as that greater consistency, older vines also usually have lower yields and that means increased concentration in the grapes that are produced and, normally, more acidity too. So, if you approach this wine expecting forceful fruit and youthful vigour, you will probably be a tad disgruntled but that does not make it a bad wine. Indeed, 2018 Ringleader Old Vine Grenache (£5.99 at Aldi and 14.5%) is pretty good and a great value example of its genre with a predictable light colour, medium body, significant alcohol and (typical of old vines) a hint of sweetness. I particularly enjoyed its soft but quite intense cherry and raspberry fruit, nippy grapefruit acidity, milder than expected tannin, and hints of menthol, aniseed and cinnamon. You will gather than I am lining up with the high markers rather than the low ones here but it is important to stress – as the medical profession is fond of saying – you should always read the label!